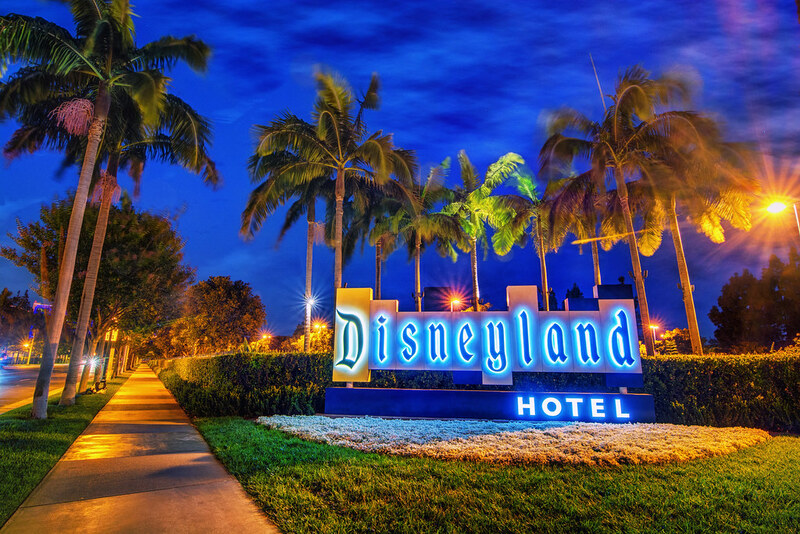 When you hear “the entrance to Disneyland”, you probably think of the turnstiles at the front gate, or maybe even the sign on Harbor Boulevard. But for many a family (and certainly mine when I was growing up), Disneyland started at this sign — the entrance to the Disneyland Hotel. Passing by that sign in the family car is the moment that the experience transforms from a nightmarishly long drive into magical adventure. This entry was posted in Downtown Disney and tagged HDR, hotel, night. Bookmark the permalink.